I have quite clearly been at a loss for words these past few weeks. Well, I've had words, but most of them aren't fit to print. "WTF?!" doesn't exactly make for constructive dialogue. As I transition out of my role of full-time cancer patient and into whatever comes next: survivor, I suppose, though that is still such a strange word for me; advocate, about which I hope to write more soon; and adjunct law professor teaching international law twice a week (yes, really), I'm still trying to find my footing in a post-MBC world, and now, also, in a post-factual one, too. And while this is a breast cancer blog that's sometimes about parenting or research or even finances or sexuality or grief, I cannot ignore my past as a lawyer/lobbyist and the dire threat to healthcare -- and our constitution itself -- that now exists. So this may also become a blog about policy and politics, too, to some extent. Just a fair warning for my readers because I'm sure that not all of you share my voting record or worldview. I hope you'll stick around regardless. At the end of the day, we're all in this together. I welcome debate here (or in person! ); just please keep it civil. For those of us who are friends on Facebook or other social media, you might have seen my statement shortly after the election that Trump's win felt oddly similar to being diagnosed with cancer. The cold fear was familiar to me, as was the sense that I had just lost control and my innocence in one fell swoop. Here's the deal: I am not a "snowflake," as some people are characterizing those of us expressing our sadness at what our country is facing: the potential loss of the rule of law and human rights, or respect for free speech and science. Our grief is warranted. I am no withering petal. No one gets through nearly 5 years of cancer treatment without some deep resolve and fortitude. My opposition to the new administration is not a partisan matter. I am a patriot. 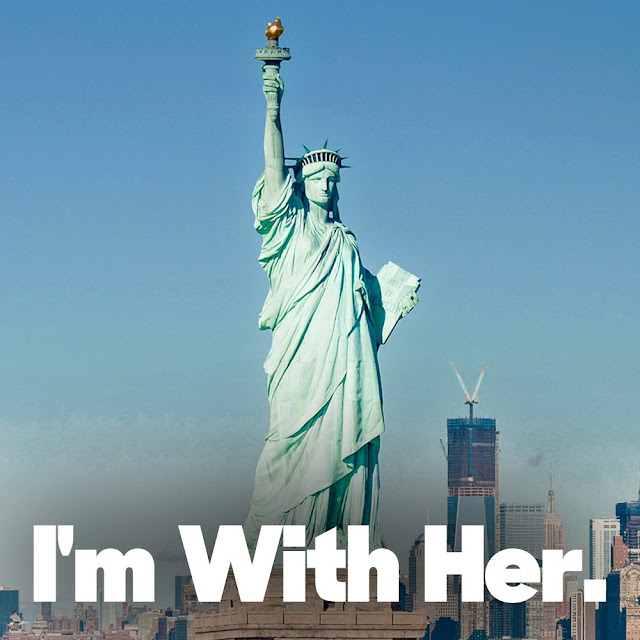 I studied history and the law, marveling at our founding fathers and the lasting power of our Constitution. I grew up in a military household where the Fourth of July was almost as important as Christmas. I can't really carry a tune (ask Chris), but I hummed along to Lee Greenwood's anthem with tears of pride in my eyes every summer. This American "experiment" we've been involved in for the past 240 years? I want to see it endure. I believe in it, flaws and all. One of my students asked me the other day whether I thought the new administration's actions were hurting our standing in the world, and if so, what we could do to correct this course. My answer was strangely similar to what I'd tell a newly diagnosed cancer patient, and at least one (conservative) author seems to agree with me. I told her we need to continue to speak up for our beliefs and interests. I would tell a cancer patient she has to be her own best advocate. The protests and boycotts and what one friend tells me are hundreds of thousands of calls per hour to congressional phone lines are making a difference. We are being heard. It is an uphill climb, but I'd argue our lives and liberty are worth it. [A]ll can dedicate themselves to restoring the qualities upon which this republic, like all republics depends: on reverence for the truth; on a sober patriotism grounded in duty, moderation, respect for law, commitment to tradition, knowledge of our history, and open-mindedness. On the other end of the spectrum, all of this advocacy, just like being a patient, can be exhausting. It is SO important to engage in self-care. Get enough sleep, even if it means resorting to a tablet of Benadryl (note, I am NOT a doctor, and this is not meant to be medical advice). Exercise regularly. My guess is boxing classes will be filling up quickly as more and more of us feel the need to punch something. Eat plenty of vegetables, even when you feel nauseated. It is important to refuel yourself to get back into the arena, for this will be a long, drawn-out match. We don't want to burn ourselves out. We have so much work to do. We have been knocked down (and I don't mean liberals, I mean our very democracy). We must stand up again and again and again, like the old Japanese proverb says. Ask any cancer patient. I cannot tell you that your fears are not real, so I won’t. And, by all means, advocate for what you believe! However, I can ask you to consider a few things: Our government hasn’t been overthrown by some radical group. President Trump was elected the way presidents have been elected before him. People thought President Ronald Wilson Reagan was the anti-Christ--each of his names has 6 letters (666), so it had to be true. Americans survived. People were fearful of President Obama as well. The worst possible thoughts awaken with every new change. Change doesn’t mean the end of life as we know it. Most importantly, I would like you to consider reevaluating your comparison of the election of Donald Trump to how you felt when you were told you were stage IV. Donald Trump can be voted out of office in four years. Congressional elections will happen in two. Your child will still have his mother. Life will go on. My stage IV will never leave. When it kills me, it’s permanently over—quite a different matter from where I am standing. Yes, Jen's child will most likely still have his mother after DT leaves office. But think about the fact that that is NOT TRUE for the children who are now blocked from coming to this country as refugees from warzones. It's only a 90 day ban, you say? The reality is that 90 days is a matter of life and death for many, many families fleeing for their lives. So actually, this change DOES mean "the end of life as we know it" for potentially thousands of families. People will die and children will lose their parents as a result of this refugee ban. And this is only one policy issue! How about the hundreds of Americans who will lose their lives to guns in the next 4 years, as Trump rolls back what gun control laws we have in this country. So tragically, it is fair to say that Trump's policies are life and death issues for many people, which is why so many of us are so devastated right now. We don't want Stage IV cancer to kill people, and we don't want guns to kill people, and we don't want war to kill people, and Trump's policies will certainly mean more preventable deaths by gun and war. Jen, thank you for your thoughtful response. My statement about the “way presidents have been elected before him” remains true. Our Electoral College system has not changed. It is still true in regards to the popular vote even if it was just two presidents elected in that way--actually there were four such events since 1800. I do not feel the same fear about Pres. Trump that you do because of our government’s checks and balances. There are watchful eyes steering any President’s actions—the public, congress, states, judges. I remember Republican’s saying the same thing about Pres. Obama changing the constitution so he could have a third term. Didn’t happen. People were fearful the ACA would be permanent. Now it is being changed. Immigration/refugees: I think most Americans don’t want to see people hurt. If you take emotions out of the equation, it comes down to resources. Can our citizenry really afford to support these people? (shelter, food, education, healthcare until they find work)—some yes, but all, never. Our immigration laws were hurting people before Pres. Trump had done anything. There are rules about how many people are allowed in—only a certain percentage of skilled, unskilled, individuals, families, can be allowed in. And refugees?—the situation is ever more complicated. Not everyone can come. Gun control: it is pretty clear criminals don’t care about gun laws or laws in general—after all murder is illegal. Not sure how to solve the problem because people that kill do not have a respect for life. Taking guns away from citizens just won’t solve this problem. It is like drugs; if they want guns bad enough, they will find a way. Healthcare coverage—yep. I worry too about life-time caps and pre-existing conditions being repealed. Trump has stated he wants to keep those parts of the plan. Before the ACA- people could still get coverage for pre-existing conditions if they did not have a lapse in coverage. Here in NC, there were high-risk pools to take care of the rest. By the way, the three emergency rooms I have been to have signs that say they will take anyone regardless of insurance. The people of our government do try to take care of everyone in need with the finite resources available. War with China: there is so much we as citizens are not privy to. War is absolutely a concern for me; I have worried about it with every President elected in my life-time. I am anti-war except when American lives are threatened. Sorry for this long response. I look forward to reading your posts. Learning and finding out why people think the way they do is why I read blogs. Thanks for the exchange. Jen, thank you for helping me find my voice and for speaking yours. 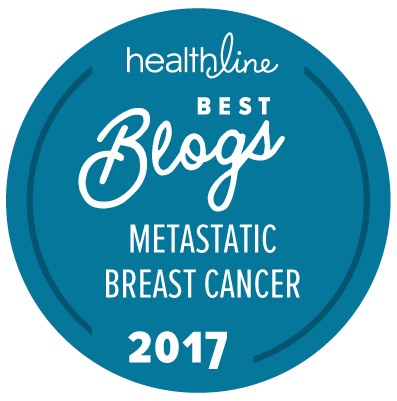 While posting this blog was not going to be pleasing to all, I'm deeply disappointed to see anyone, especially a woman with cancer, ask you not to compare your feelings to your diagnosis. No one should tell you how to feel or what to compare it to, just as no one should tell a patient with cancer how to feel. I think there are many parallels in a diagnosis and in dealing with our new administration- the steps are similar: finding out what's really happening, what your options are, how to take action, and when to ask others for support. I hear you. I'll support you. Hi again, Jen, and the three people who responded to my comment above. I hope all of you will take a moment to re-read my comment and notice I mentioned no policy issues. I simply asked that Jen consider a few facts, that is all. We all have emotions. Sometimes those emotions feel the same to similar but differing events in our lives. If we look deeper, those emotions may have profound differences that we didn't notice before. That is all I was trying to say. Trump is unspeakable: selfish, indiscreet, intellectually limited, predatory, racist, bankrupt and emotionally needy. Words cannot describe the moral and mental depravity of the man. The fact that between 1/4 to 1/2 of Americans view him as their Savior is mentally daunting and soul crushing. He is their Ideal!!! He is Represents them. He is the man they desire their children to become. Good Lord! The Dark is Rising!